Effective January 1, 2015, Gordana Kovačević, MSc was re-appointed for her third term as President and CEO of the company Ericsson Nikola Tesla. Currently, with her responsibility as the President and CEO of Ericsson Nikola Tesla, she is also the Chairperson of the Supervisory Board of Ericsson Nikola Tesla’s affiliated company in Bosnia and Herzegovina, as well as the company Ericsson Nikola Tesla Servisi in Croatia. During her career, Gordana Kovačević has been engaged in strategic management, restructuring of the company and business development. On this journey, her innovativeness and an original approach were a part of her personal contribution to the local and global organization, which was recognized through Ericsson Centers of Excellence, which were her idea, and were first implemented in Croatia and afterward in the entire corporation. She completed an executive education program for Ericsson’s top management at the Graduate School of Business, Columbia University. Along with her corporate engagement, Gordana Kovačević has also been actively participating in the activities of several reputable institutions in Croatia. Due to excellent academic results achieved in cooperation with the leading representatives of the academic community, Gordana Kovačević was appointed as member of council of several faculties. 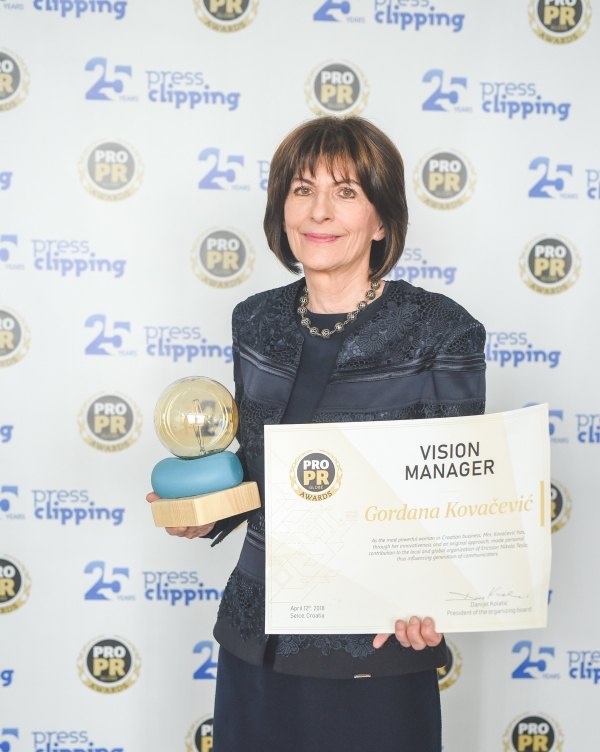 In her career, she received numerous awards and recognitions, and for the fourth year in a row, Gordana Kovačević was the most powerful woman in Croatian business.